NOVA Publishing Company. Maryland: Rockville: 1993. “The Egyptians, builders of pyramids, were well acquainted with the properties of magnetic force, utilizing it for the preservation of mummies to delay the decay of lifeless bodies. The legendary beauty queen Cleopatra of Egypt (69-30 B.C.) wore a magnet on her forehead to preserve her figure…Swiss alchemist and physician, P.A. Paracelsus, researched and observed that the magnet could cure inflammations, influxes, ulcerations, and diseases of the bowel and uterus … Dr. Samuel Hahnemann (1755-1843), the father of homeopathy, was fully convinced of the powers of the magnet and recommended its use.”(47). “The benefits of magnets have been known for thousands of years….. Over 50 Million people use magnotherapy worldwide ..” (4). “In the US alone, over 100,000.00 treatments annually are given using electromagnetic devices for such things as bone fusions, inflammation, tennis elbow, sprains, back aches, and most types of pain” (29). “The FDA approved electromagnetic devices in 1978, primarily for bone fusions and relief of body pain, edema, and similar ailments” (10). “In magneto therapy, relief may come immediately or may take hours, days or weeks to reduce inflammations or influence more serious ailments…pain is taken away when magnetic fields are applied…” (47). “Remarkably, success rates for bone fusions, pain relief, and healing of many types of ailments range 70 percent or higher when procedures are properly applied. A pioneer in electromagnetic therapy, orthopedic surgeon, Dr. Andrew Basset has demonstrated success rates of 80 percent in healing non-union bone fractures.” (11). “On the equine level many veterinarians and prominent thoroughbred stables use magneto therapy on race horses where hope was given up” (34). “Plants and animals are affected by magnetic fields. Faster growth of animals and plants has been demonstrated in a variety of experiments. Fish in magnetized tanks show faster growth, stouter physiques, and lower mortality rates as opposed to those in unmagnetized tanks with otherwise similar conditions” (60). A stabilizing of the genetic code (92-93). Diagram P.97 / Source: Magnetico Inc. 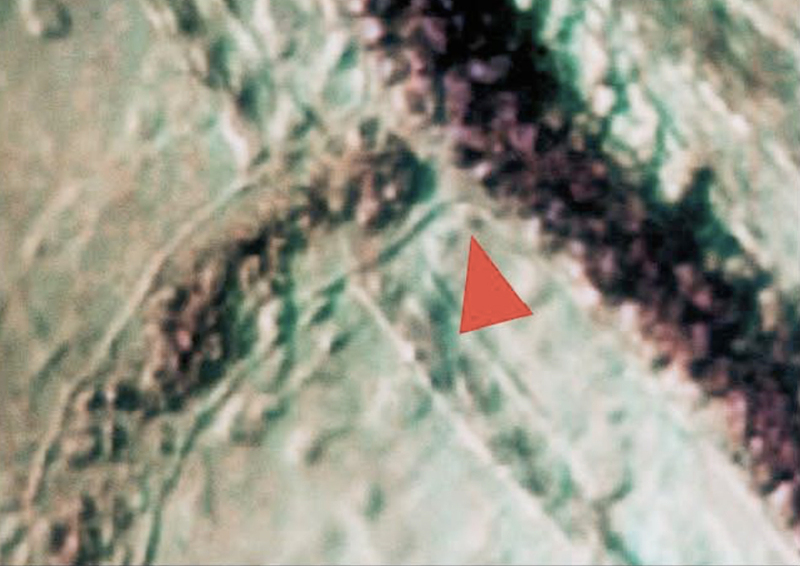 Magnetic Fields that influence cells (as seen above) cause a greater substance exchange, increase the blood supply & oxygen supply to muscles, joints & infected areas within an organism. Diagram P.57 / Source: Magnetico Inc.
“Magnetic resonance imaging (MRI), is used to take detailed images of internal body parts, and for mapping the brain, and exploratory surgery, etc. and which is rapidly replacing X-rays that place us at risk to cellular damage from adverse radiation.”(87) for diagnostic purposes MRI’s are also used for breast imaging in the detection of cancer. “Terafield & Diapulse electromagnetic devices for relief of pain and edema, approved or registered by the FDA in 1972 and used by more than 1,000.00 hospitals, colleges, and health care centers”(88). “The earth's magnetic field has a significant impact on all living things and that life itself is dependent on magnetic energy. A striking example of this connection was discovered by NASA. The first astronauts to orbit earth outside of the earth's magnetic field returned home sick and weakened. NASA scientists discovered their illness was caused by a lack of magnetism and solved the problem by placing magnets in spacecraft and space suits” (96). “The moons micro pulsations-from 0.1 to 35 Hertz-are in perfect harmony with the electro biochemical impulses of man that they helped to develop during evolution”(97). “Lower frequencies are even more effective for treatment as they are able to achieve resonance more easily when interacting with the natural resonance frequency of body tissues which are under 25 Hz”(145). Rose, Peter. “Magnetic Therapy Illustrated: Natural Healing and Pain Relief Using Magnets”. Ulysses Press. California: Berkley: 2001. “What magnets can do is help reduce the pain and improve the blood flow, thereby accelerating chemical re-building and the removal of waste products” (p.71). ”The Atharva-Veda, the sacred ancient writings of Hinduism, refers to magnets being used to stop bleeding, while Cleopatra supposedly wore a small magnet on her forehead to preserve the fabled beauty.” (7). “Paracelsus, the Swiss alchemist and physician wrote: “There are qualities in a magnet and one of these qualities is that the magnet also attracts all material humors that are in the human system. The magnet therefore is very useful in all inflammations, influxes and ulcerations in the diseases of the bowels and uterus….” (47). “…The physician Dr. William Gilbert reputedly prescribed magnets for Queen Elizabeth I.”(7). The tissue of the group that received electromagnetic stimulation showed an increase in blood circulation and an improved oxygen supply at all times when scientific measurements were taken. Consider the following pictures of blood vessels that were influenced by pulsed magnetic fields and notice the increase in blood flow in the right picture. The QRS, Quantron Resonance System, is backed by 30 years of scientific knowledge, numerous clinical trials and empirical tests. There is a broad range of applications for treatment with the pulsating electromagnetic fields of the QRS. “Osteoarthiritis of the knee joint is a disseminated degenerative disease, especially in adult, which mostly develops due to the imbalance of use and constitutional capacity of the joint tissues. Clinical symptoms are stiffness and pain, and in the long term cases also knee joint instability. The standard therapy up to now is rather symptomatic than causal, mostly physical therapy and analgesic medicines” (p.1). “The results are astonishing for the medical profession….For the User and the QRS specialist; it is not so quite so astonishing that this (unspecified) therapy delivers such clear results in a narrowly defined diagnosis. This makes QRS® a real alternative in therapy…” (p.29). An osteoblast (from the Greek words for "bone" and "to build") is a cell which produces osteoid. Osteoid is a protein mixture which is secreted by osteoblasts. When it mineralizes, it becomes bone. Osteoid is primarily composed of type 1 collagen. “There are some uses of electromagnets within conventional medicine. For example, scientists have found that electromagnets can be used to speed the healing of bone fractures that are not healing well” (NCCAM 3). “Trials of electromagnets yielded more consistent results. Five out of six trials found that these magnets significantly reduce pain. The sixth found a significant benefit to physical function from using electromagnets…” (6). 26 of 32 randomized clinical trials (RCTs) showed that pulsed electrotherapy was efficient in treating conditions such as neck/shoulder pain, bone and joint diseases, neurological disorders, sleep disorders…. (Vallbona and Richards, 1999, NCCAM 17). “The participants who received the magnetic therapy had significant improvement in all pain measurements and in some range-of-motion measurements that persisted throughout the evaluation period (NCCAM 20). “The Effect of Pulsed Electromagnetic Fields on Instrumented Posterolateral Spinal Fusion and Device Related Stress Shielding”, Spine 22 (4):382-388, February 15, 1977. “Conclusion: Use of pulsed electromagnetic fields has the potential to minimize device related vertebral bone mineral loss”. “Effects of pico telsa electromagnetic field treatment (PTEF) on wound healing in rats” AJVR, Vol 64, No. 7, July 2003. “Magnetic Pulse Treatment for Knee Osteoarthritis: A Randomized Study, Double- Blind, Placebo-Controlled Study”, Nicolo Pipitone, David L. Scott, Curr Med Res Opin 17 (3):190-196, 2001. Our PEMF (pulsating electromagnetic frequency), massage and solarium devices for horses can help ease sore back muscles, injuries and muscle recovery before and after performance horse workouts. 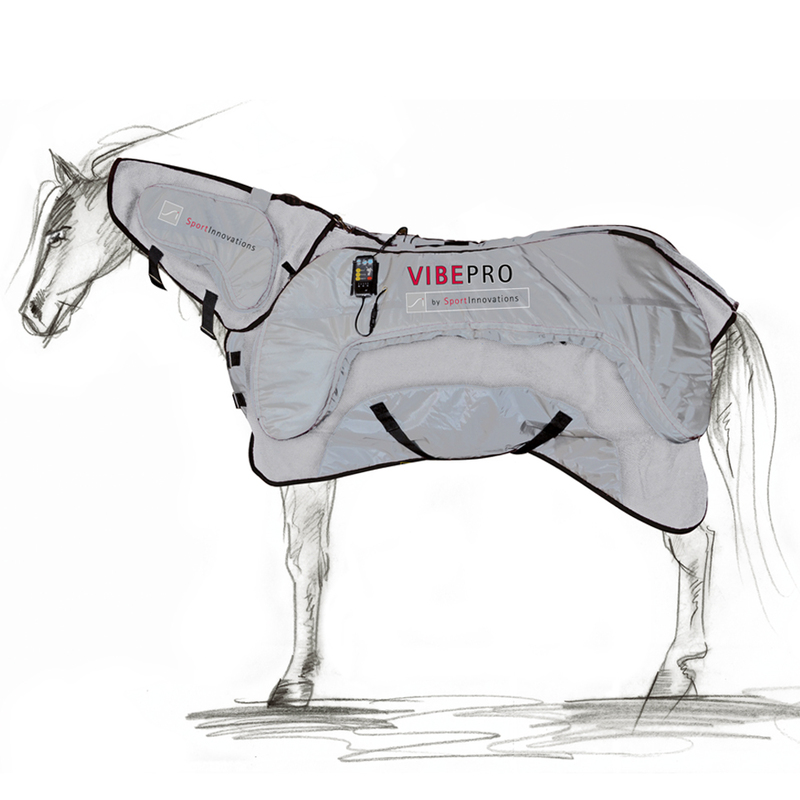 Made in Germany, our magnetic horse blankets, electro magnetic field therapy that utilize pulsing magnetic fields in blankets, hoof wraps and hock wraps for horses can help keep the equine athlete in top form. Pulsed electromagnetic field therapy (PEMF), also called pulsed magnetic therapy, pulse magnetotherapy, or PEMF, is a reparative technique most commonly used in animal pain management for horses and dogs, injury recovery and overall health upkeep. This technology is at the heart of many of our horse and canine sports medicine devices. Thank you for your interest in SportInnovations. We will keep You posted & informed.